Any reader of Inky Fool will enjoy this. 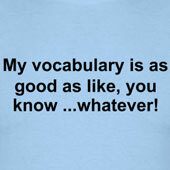 It's a site that estimates the size of your vocabulary. You start off with some reasonably simple words, and then move onto a much more logopandociec test. Indeed, it tested me with several words that I've written about on Inky Fool, including fuddle, tatterdemalion, funambulist, hypnopomic and pule. So you, dear reader, should be at an advantage. 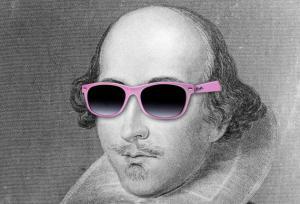 There's a myth that Shakespeare had a much larger vocabulary than anybody else in the whole history of English. In fact, his vocabulary was about 20,000 words. This would put him in the bottom 10% of English speakers today. That's largely because the English language in Will's time only contained about 150,000 different words, whereas the current OED has about 600,000. Still, that means that if you take the test and make it out of the bottom 10% of the population you can brag about having a larger vocabulary than Shakespeare. P.S. Because somebody is bound to ask, they estimated my vocabulary at 41,800; but then again I am meant to be good at this sort of thing (and have no other talents). 40,200 and I'm supposed to be a writer! 34,900. Disappointing. I marked hard though: had a pretty good guess at tenebrous (great word) but in the interests of science had to admit that I didn't actually know it. Opsimath, sedulous, adumbrate: where were those posts, hmm? Of course, if we were to weight this, Shakespeare knew 13.33% of the available English vocabulary, whereas 41,800/600,000 is just under 7%.